The end of November - only 107 days left of the season - time to check on the challenges. 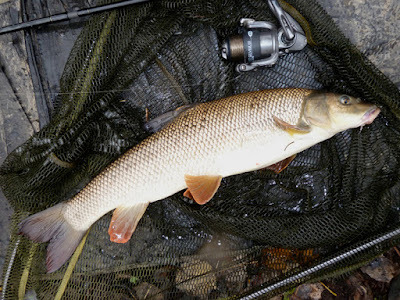 And do a bit of barbel fishing. 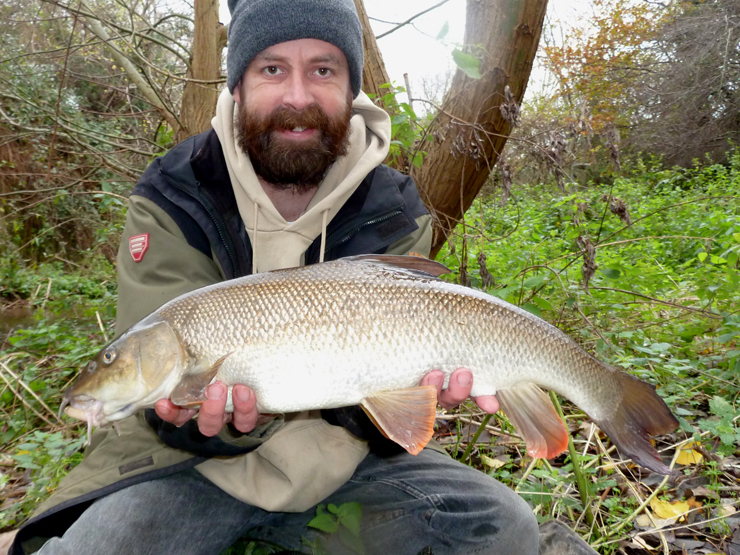 Barbel Challenge: I hit the local river for a couple of hours this afternoon rolling for barbel - I needed 15 more to hit my target of 100 little river barbel this season, I managed this a couple of times in one session in the summer - but it's tougher going now it's cold. I spotted a few fish but they weren't even interested in the free samples. I eventually had a pick up but didn't connect, then spotted 2 fish feeding in the shallows - and caught them both - about 5lb top and about 4½lb above. Result! 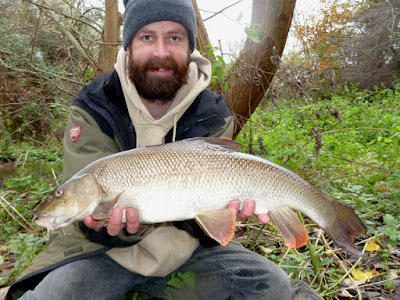 Total of 87 barbel on the books - hopefully I'll get back into them when it warms up - and I really want a double this season. Predator Challenge: A couple of weeks ago I worked out I still needed 12lb a week to hit my challenge target - doesn't sound like a lot but the weather is turning. Soon there will be floods and freezes - and it really lit a fire under me - I really want to hit this target. I've really enjoyed targeting the zander and I think I'm starting to get a slight handle on them. Rigs are being developed (with a lot of help) and I think circle hooks might provide a leap forwards - but getting hold of the circle hooks is proving tricky - Paulos I think I'm going to need your help. I fancy a couple more trips to Bury Hill before Christmas. 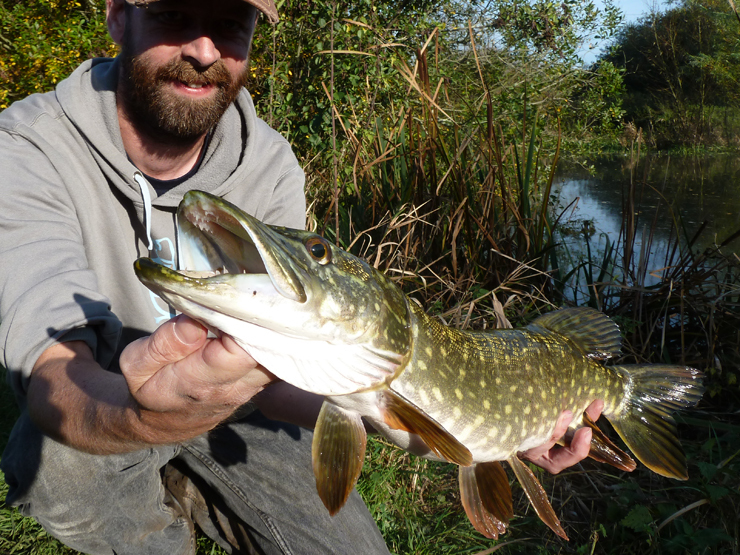 And a few pike trips to The Wye are called for, hopefully to track down a twenty. Photo above is a jack from a few weeks ago. Current total 169lb 14oz and I'm hoping to break the 200lb mark before Christmas. 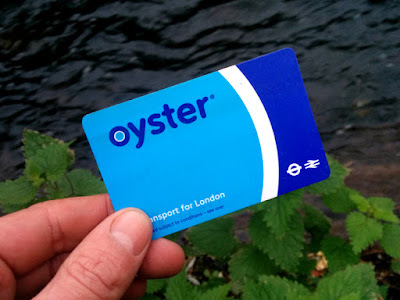 Oyster Treble: Years ago, before I started this blog, I had an idea to try and catch a double figure pike from river, canal and stillwater within the London tube network - after a bit of research I thought it was impossible and forgot about it. 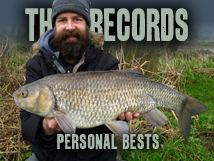 But my canal pike in the summer made me realise between me and James we've done it. And I just need an Oyster river pike to do it. So yesterday I hit the river where James caught his. Unfortunately there was work taking place on the river and a normally year-round gin clear river was murky. Not helpful in a river that only contains a handful of pike. I gave it a couple of hours but it was a needle in a haystack, if they'd even feed in these conditions. But I will be back, and I'll be doing research into other rivers on the network - be great to complete the collection! I'll send some circles your way this week. Thanks Paulos, very had to find here - decent ones in the right size - they're all too big.